Really liking this bright, airy space that totally gets me in the mood for spring and away from the harshness of winter. In RL the snow has thawed but it’s still cold so I’ll be glad when it warms a little. 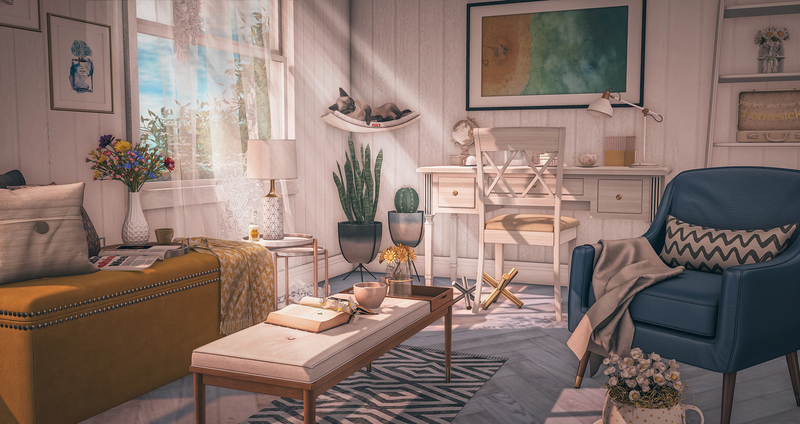 I love the colours of spring so these sets from Loft & Aria and Fancy Decor which are both new at Uber this month. Short post today but hopefully the photo contains everything you need!